Swipe, a company which has introduced plenty of handsets within 2000 to 4000 Rs range, has launched its 1st 3GB RAM phone in the form of Swipe Elite Note. Elite Note can be considered as the first fully loaded phone from Swipe. It has many pros and very few cons. More importantly, the phone is pocket-friendly. The handset employs magnesium alloy casing, a combination which ensures better durability. Like the OnePlus One, it also includes a back sandstone cover. Swipe Elite Note features Philip’s ViDi technology supporting 5.5 inches IPS high definition display. The display uses 2.5D glass along with dragon tail protection layer. It has 266 pixel density. ViDi module enhances picture contrast, brightness, and colors. Thus, you’ll enjoy watching videos on Swipe EN. The handset has a Mediatek 64 bits quad-core processor. When it comes to budget mobile phones, MediaTek seems to be the first choice of big brands. MediaTek’s products are of high quality. They are considered to be the best Snapdragon alternatives. What’s more? Swipe Elite Note has Infrared module due to which you can use it as a remote controller for DTH set top box, Televisions, and many other smart devices. Swipe Elite Note packs a big battery of 3000 mAh capacity which is expected to last for up to 24 hours, thanks to the HD resolution. If the screen had FHD resolution, the device would last for 16 to 17 hours on a single 100% charge. This Swipe phone doesn’t feature a fingerprint sensor, a feature that many of you may have desired. Nevertheless, the IR blaster is an excellent addition. For securing your data, use a smart app lock manager or lock screen controller app. If fingerprint reader is one of your primary requirements, check our list of fingerprint sensor installed budget phones. Swipe Elite Note is 8.44 millimeters thin. It is having a weight of 190.9 grams. This phone is enabled with DUAL SIM connectivity support. It reads 4G-LTE, 3G as well as 2G only SIM cards. The highlighting feature of this phone from Swipe is its 3GB system memory, and Sony sensor packed 13 MP rear camera. It also has a decent 16GB ROM, 5 MP selfie camera and a MicroSD card reader. The Elite Note will accept only 32GB capacity MicroSDs. This 8000 Rupees range phone is loaded with Freedom ROM (based on Android 5.1). It uses Mai t-720 graphics module. It has four sensors, light, proximity, accelerometer and g-sensors. OTG, tethering, and navigation with Google Maps is supported by the Swipe Elite Note. 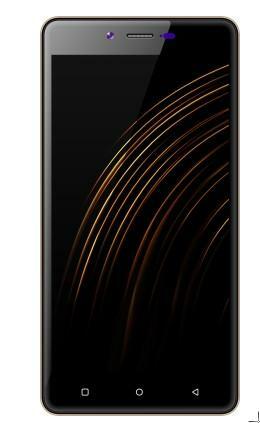 Elite Note is available for Rs 8000 on Flipkart. It has a standard SAR value of under 1 W/KG. Swipe is trying to make a comeback. In the last week, Swipe had launched the cheapest LTE phone, the Elite 2 along with a 2GB RAM Virtue handset for Rs 6000. The three latest Swipe handsets have features that a budget phone seeker wants. Thus, we can say that Swipe is on the right track. All the latest Swipe Mobiles have been listed on Flipkart.com.